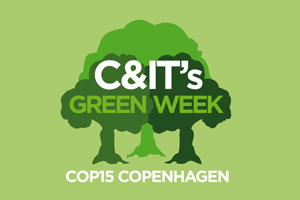 C&IT GREEN WEEK: Copenhagen is the "greenest" major city in Europe, according to a new European Green City Index presented at COP15 by Siemens yesterday. The study, carried out by the Economist Intelligence Unit in conjunction with Siemens, evaluated the environmental sustainability of 30 major cities in 30 European countries across eight categories: CO2 emissions; energy; buildings; transportation; water; air quality; waste and land use; and environmental governance. Copenhagen, which currently playing host to COP 15, the UN Climate Change Conference, came top, followed by Stockholm, Oslo, Vienna, and Amsterdam. However, he added: "All of the cities face formidable challenges, however. For example, renewable sources of energy currently account for only around seven percent of these cities' energy supply, which is significantly under the target of 20% set by the EU for 2020." Copenhagen has set a target of reducing CO2 emissions by 20% by 2015, and aims to be the first carbon-neutral capital by 2025.